Junior Matthew Garcia is determined to make a difference in his community. 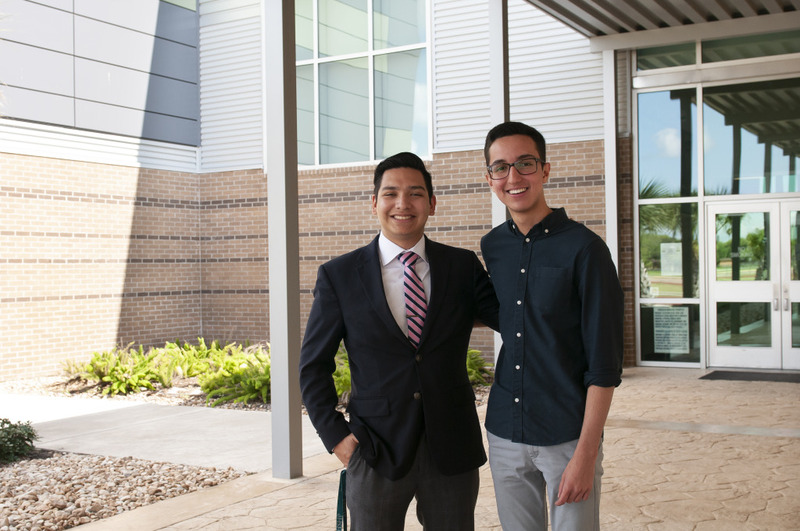 He was recently offered a prestigious opportunity to do just that as he prepares for his last year at Harlingen School of Health Professions. Garcia has been named a Bezos Scholar and will join 12 students from the United States and five students from the African Leadership Academy chosen to participate in the program that strives to cultivate the next generation of leaders. “I feel honored to have been selected for this impressive program,” said Garcia. The Bezos Scholars Program inspires and challenges young people to act on their passions and collaborate to address community needs. Scholars are teams of rising high school seniors and educators who have demonstrated accomplishment, embraced new challenges, and aspire to lead change in their community. As part of the application process, Garcia nominated his pre-calculus teacher, Jose Becerra, to partner with him and be his support in the program. Garcia and Becerra will attend the Aspen Ideas Festival in Aspen, Colorado on June 23-29. This experience will prepare them for the challenge ahead – creating sustainable community change projects, known as Local Ideas Festivals. During the all-expenses-paid trip, they will participate in leadership training and engage directly with global thought leaders—from scientists and artists to policymakers and activists. While they have some ideas of what they will implement in their own ideas festival, Garcia and Becerra hope to use what they learn in Aspen to further develop their concepts. Besides attending the Aspen Ideas Festival this summer, Garcia will be performing in a tour of Asia – Taiwan, South Korea, and China – during his second year as a member of Carnegie Hall’s National Youth Orchestra of the USA. He is also the Vice President of the South Texas Health Occupations Students of America organization.